Should You Add Esports to School Programming This Year? Believe it or not, there are esports scholarships available! You know who they are. When you see them, you probably inwardly groan at yet another sighting of a kid addicted to a device. And when they see you, they try to put their device away quickly. Or they tell you it’s not a big deal when you admonish them for having their phone out—again. They’re the kids hunched over, often surrounded by a huddle of other kids, playing esports in school during any free moment they can get. But what if those hours of gaming were actually helping kids build skills? What if those skills translated to real-world benefits that could be listed on a college application? And then, what if that extracurricular activity could provide a scholarship that offset the cost of an expensive college education? That is exactly what advocates of esports in schools argue. Esports, or electronic sports, is a booming trend in competitive gaming that was expected to garner over $345 million in 2018. Esports spectators attend competitions virtually via live streaming. Among the most popular games played competitively are League of Legends, Overwatch, and Rocket League. While esports falls behind the NFL, MLB, and NBA in revenue, viewership of major tournaments surpassed the 2018 Kentucky Derby, Wimbledon, and the Daytona 500. In other words, the world of competitive gaming is real—and it’s growing. Your students know it, and it’s time to consider what it might mean to support competitive gaming at your school. Believe it or not, video games are inherently social. A whopping 72 percent of teenagers play video games, and when they play them, they play online with friends. Pew Research reports that boys do the majority of online gaming and that online gaming is especially critical for their friendships. The same research reports that half of all kids playing online games have formed new friendships and 90 percent of boys who game are playing with people that they know personally. They report that gaming is a relationship builder and that it helps them feel more connected to their friends. “Esports would allow schools to redefine athletic culture,” says James O’Hagan, director of digital and virtual learning in the Racine Unified School District in Racine, Wisconsin. When gaming has been included under the banner of athletics, what O’Hagan calls a “scholar-gamer” is born. A quality esports program that supports an academic program requires students to maintain grades in good standing in order to compete. Unlike traditional athletics, competitive gaming is open to a wide variety of students of varying physical abilities. “If we use video games in an appropriate way,” says James O’Hagan, “we can open up pathways for kids we’ve struggled [to connect with] for years.” This includes kids who are on the margins socially as well as kids who feel left out of traditional extracurriculars. Furthermore, teams include more than gamers. Many kids who want to be involved fill a wide variety of roles on the team. There are kids who want to manage the social media account, build the website, or find other ways to support the team. An excellent esports program isn’t just a bunch of kids in your AV room after school eating Doritos. A great esports coach helps kids develop gaming skills. They work to provide a positive atmosphere for civil gameplay and collaboration. A good coach helps students build skills and strategize, and they can also help students learn to manage stress. The North American Scholastic Esports Federation offers a code of conduct and even virtual coaches for high school teams. Gaming brings play into the mix. Erika Christakis, an expert on early childhood at Yale University, writes, “Through play, children learn to take turns, delay gratification, negotiate conflicts, solve problems, share goals, acquire flexibility, and live with disappointment.” For younger kids, this learning happens through imaginative play, but older kids still need the opportunity to develop these skills through play. 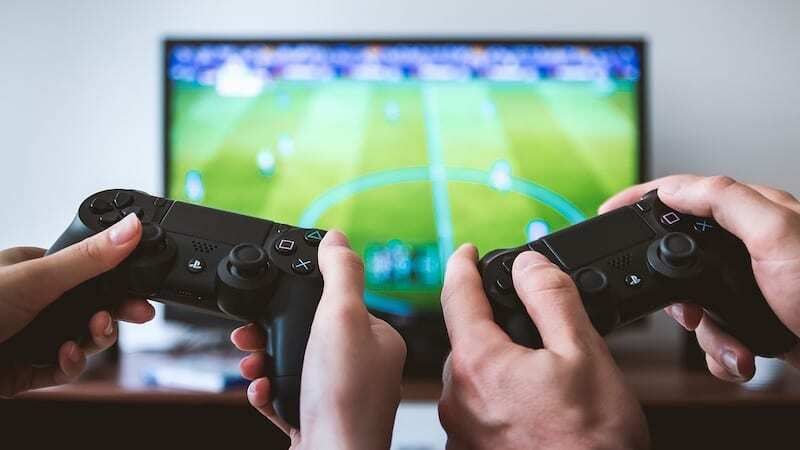 In addition, gaming in moderation has been proven to support good mental health in teenagers as well as improved attention and executive functioning. Gaming could mean scholarship money. In 2014, Robert Morris University became the first in the nation to offer scholarship money for competitive gameplay. Today, there are 79 schools that offer scholarships for gaming. In 2018, the scholarship money available for students grew over 480 percent, and a report from NewZoo claims that the industry’s economy has been growing at a rate of 41.3 percent year to year. In other words, building a community of competitive gameplayers could provide pathways to college scholarships and other opportunities for kids. Esports brings opportunity to a wide population of your student body. The social and potential economic benefits make a compelling case for considering bringing esports into your building. Join the great conversations going on about school culture in our Facebook groups at Principal Life and High School Principal Life. Plus, check out 11 ways to rock school gamification.